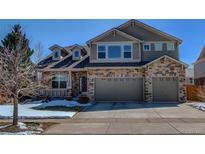 Below you can view all the homes for sale in the Tollgate Crossing subdivision located in Aurora Colorado. Listings in Tollgate Crossing are updated daily from data we receive from the Denver multiple listing service. To learn more about any of these homes or to receive custom notifications when a new property is listed for sale in Tollgate Crossing, give us a call at 720-580-6694.
flat fee electric) -This is a must see! MLS#8107975. LIV Sotheby's International Realty. Residents well-served by Cherry Creek schools. MLS#1689049. The Steller Group, Inc. This Special Home Features: Gleaming Hardwood Floors*soaring Great Room*gourmet Kitchen With Double Ovens,Stainless Steel Appliances,Granite Counters*huge Stone Pavers Bark Yard With Retractable Awning*custom Window Shades*4 Refrigerators*pantry Included*giant Transom Windows*brazilian Cherry Floors*42 Inch Cherry Cabinets*large Master Suite*3 Car Garage*walk To The Elementary And Middle School*incredible Finished Basement With Bathroom And Wet Bar*main Floor Study And Main Floor Laundry* Ready To Move Right In! MLS#2763394. MB PRISM REALTY. This home encompasses it all, close to Southlands Mall, restaurants, parks, trails & nearby elementary school! MLS#7104098. Realty One Group Premier Colorado. **we Have 4 Single Family Homes To Choose From With Different Colors & Options MLS#4114578. Keller Williams Real Estate LLC. 5 miles to Aurora Reservoir Named by Westword as "The BestPark for Fishing" This Quiet neighborhood has it all! ! MLS#9003996. Keller Williams Real Estate LLC. The lot is favorable, and is great for entertaining. MLS#1770471. Kentwood Real Estate Cherry Creek. Walking distance to Buffalo Trail Elementary, Infinity Middle School, Arapahoe Park Racetrack and Arapahoe County Fairgrounds. MLS#6811080. LIV Sotheby's International Realty. Come see your new home today! MLS#2873646. HomeSmart Cherry Creek. Home is ready to be moved in to. MLS#2977225. Re Professionals Llc. This House Is A Must To See!! ! MLS#7602804. Brokers Guild Classic. Quiet privacy, spacious living, & extensive storage highlight this classic, open flrplan home*Ranch style, single-floor living over full, prof fin bsmt* Cherry Creek schools*Orig owners impeccably maint in & out*Shows like new*Wood floors in entry, hall & kitchen*New carpet 2018 in liv & dining rooms*Cozy gas firepl, vaulted ceilings*Expansive kitchen w/ ample cabs & counter space, full pantry, brkfst bar & all kitchen appls*Handy main flr laundry room*French doors to office*Oversize master incls bay window w/ bkyd view*5 pc master bath-soaker tub, walk-in closet & glass block*Bsmt opens to multi-use fam room w/ potential wet bar setup*Custom designed 3rd bedrm is 2nd master or guest ensuite w/ walk-in closet, tiled ¾ bath, dbl sink & oversized shower*Extra lg util & storage room*Central AC & 4 ceiling fans*New water heater 2018*New roof 2013* Front security door*2 ½ car garage*Meticulous landscaping–covered & lighted back patio, terraced bkyd, estab planting beds, sprklr syst & privacy fence MLS#8083234. RE/MAX ALLIANCE. New roof and gutters were installed in Feb. 2019. MLS#8334488. Brokers Guild Classic. Walking distance to community pool and clubhouse. MLS#7316521. Keller Williams Executives. A must see huge loft on the 3rd floor, perfect for entertainment, office space, kids nursery, etc. MLS#2280412. RE/MAX Altitude.